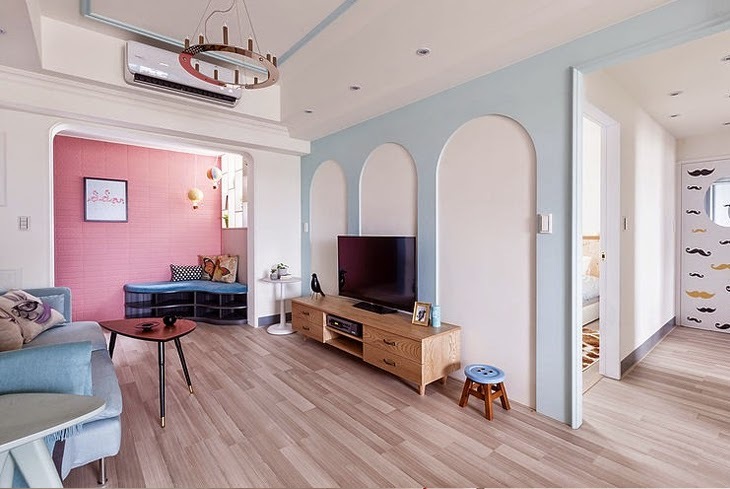 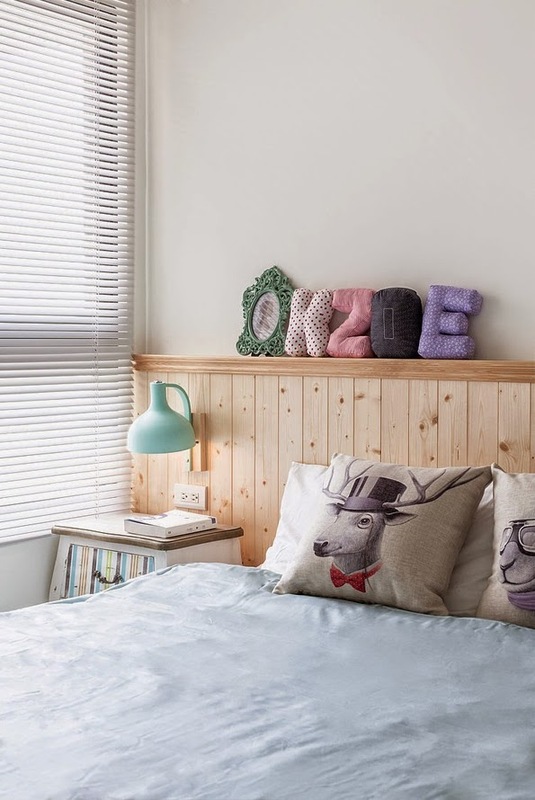 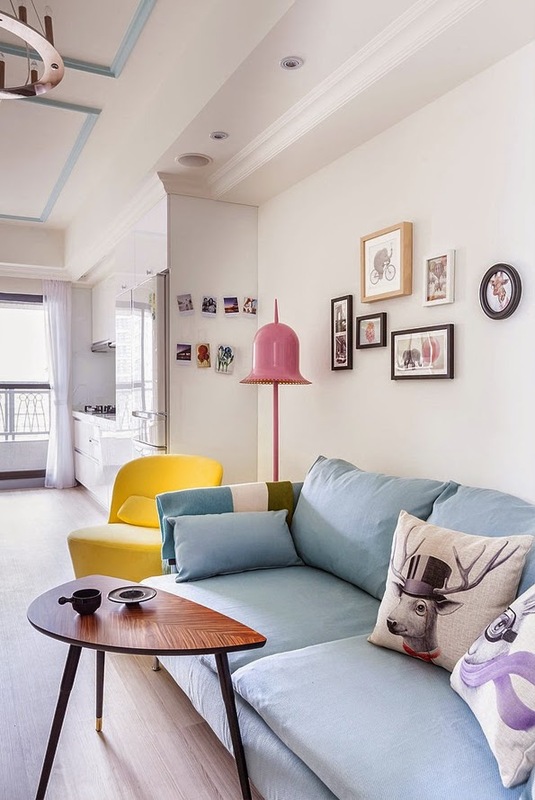 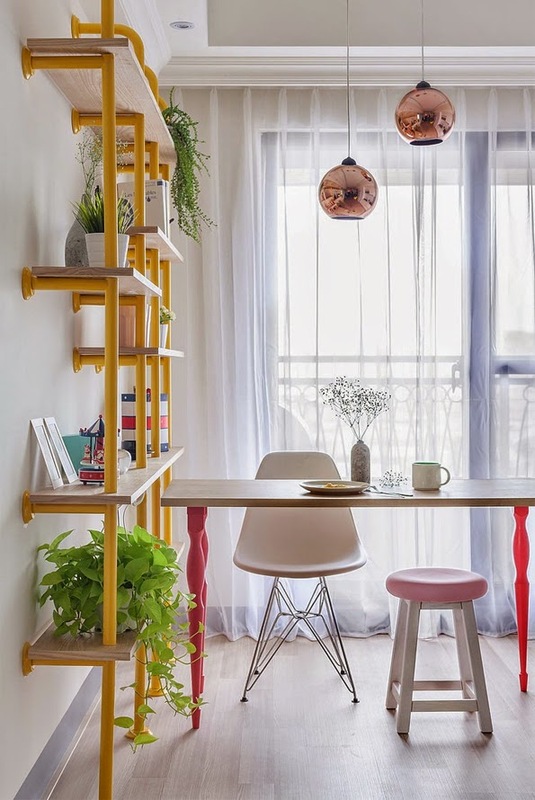 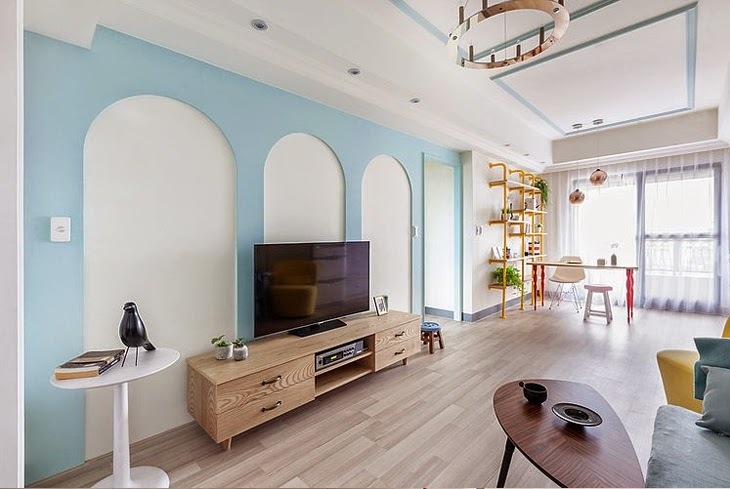 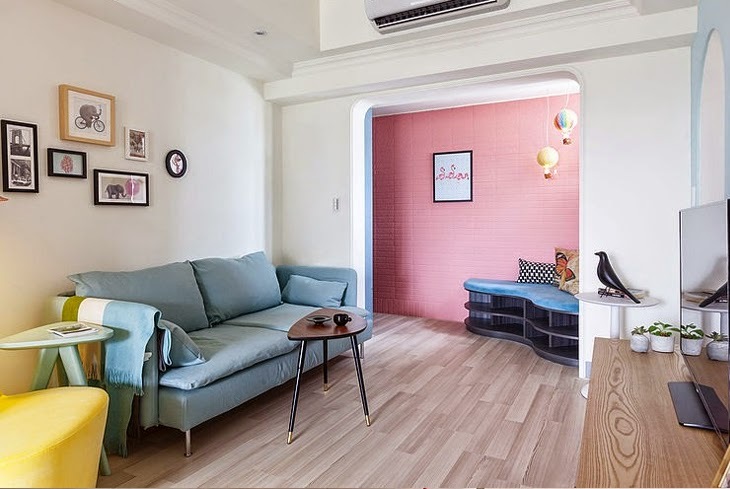 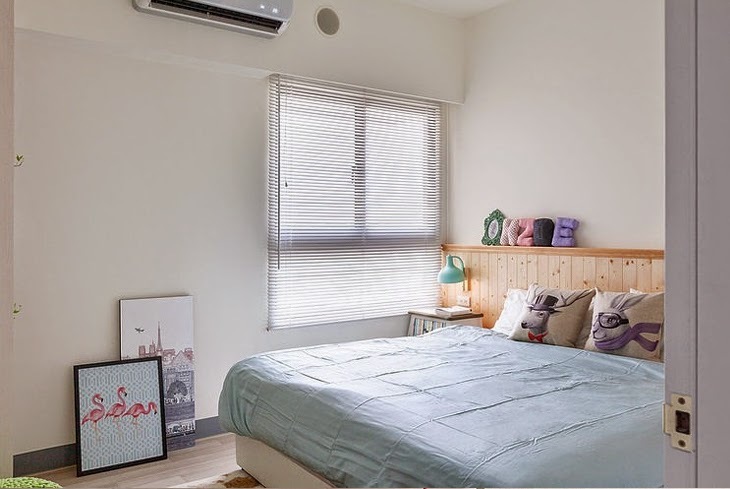 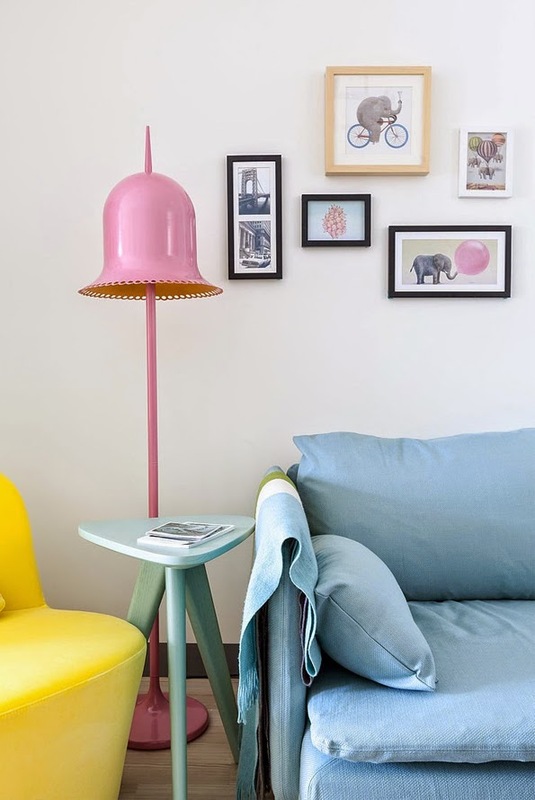 Joyful, playful, colourful, those are the words that probably describes this apartment best. 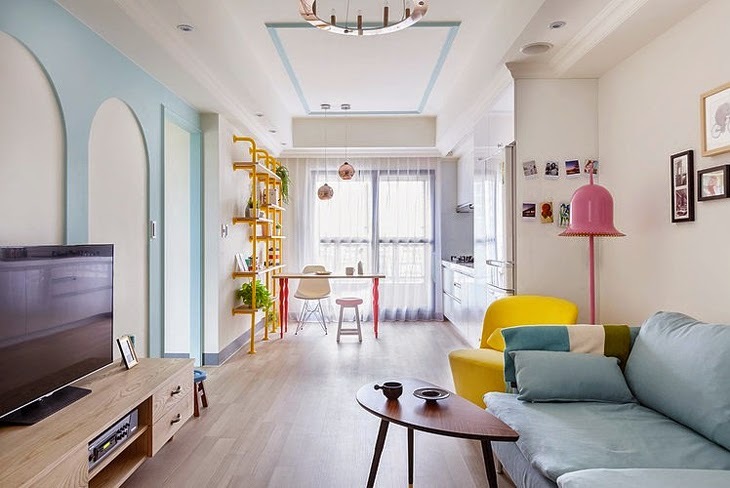 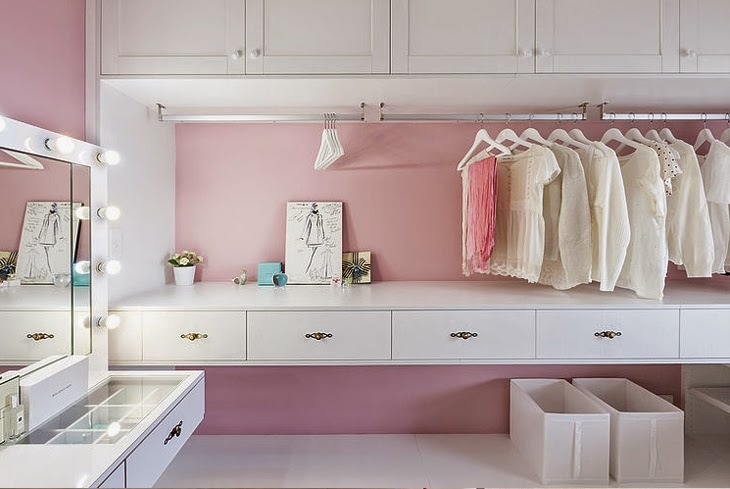 House Design Studio did some pretty good job here with many cool and fresh ideas. 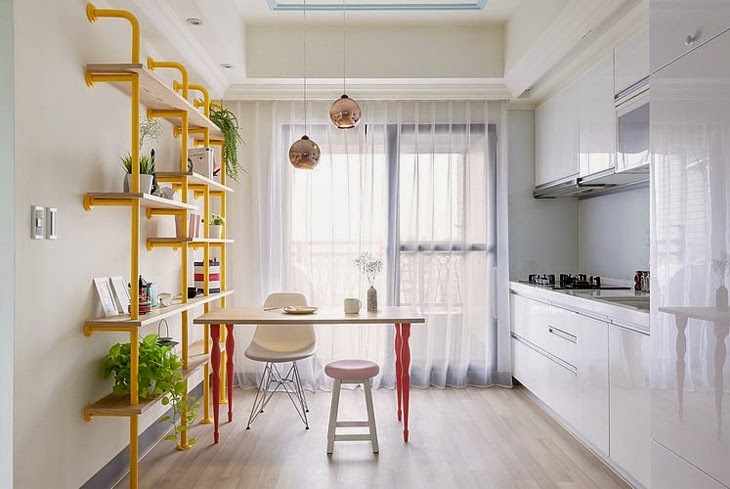 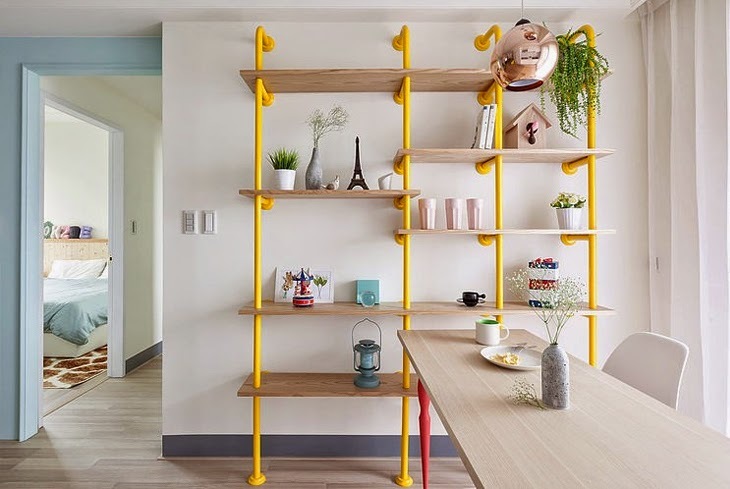 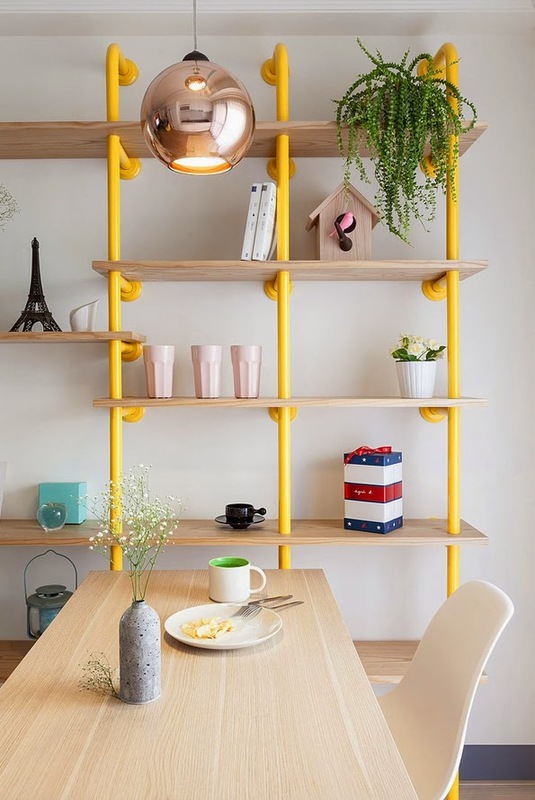 My favorite part is the kitchen area with the yellow shelf made from tubes and pretty copper lamps. 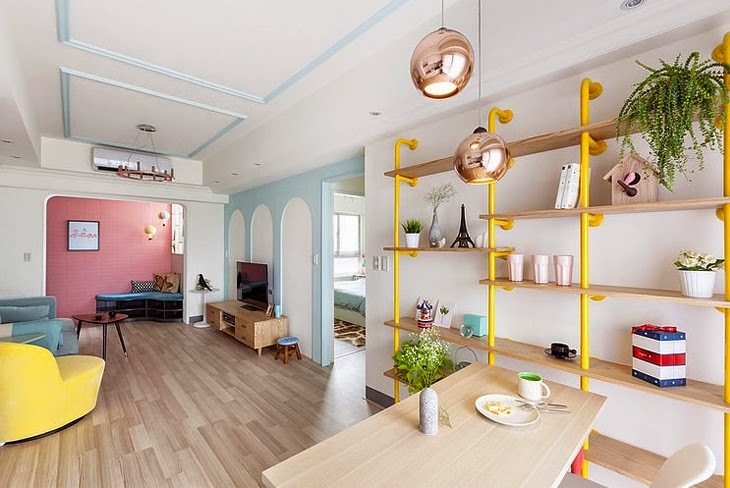 What do you think about this unorthodox place?